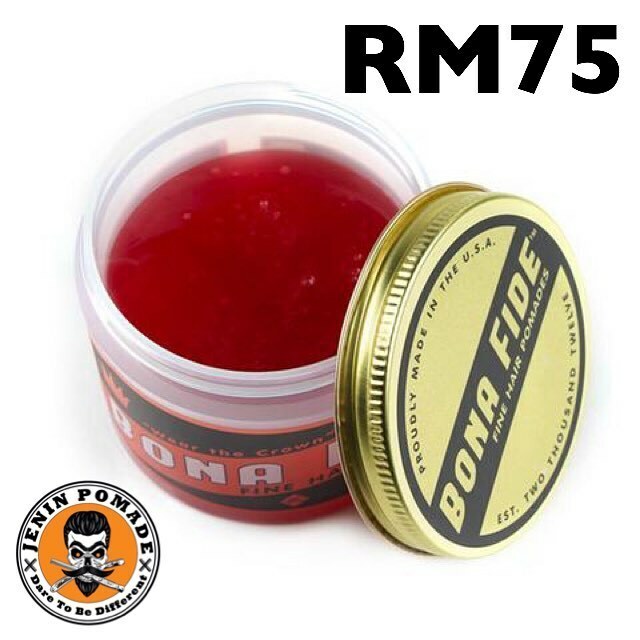 BONA FIDE POMADE, "SUPER" SUPERIOR HOLD is a water-based pomade with a fresh citrus scent and a "SUPER" strong hold. Our "SUPER" SUPERIOR HOLD was designed for those folks with hard to manage coiffures. It is everything our SUPERIOR HOLD is and then some! 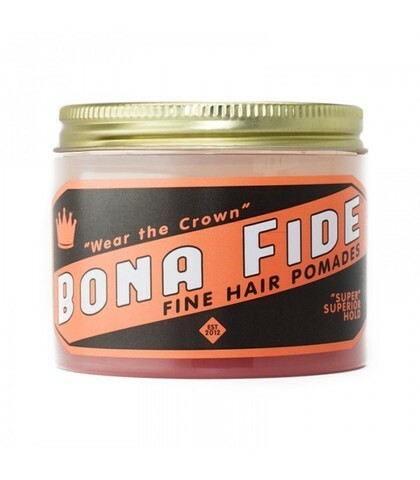 Tame your mane with our strongest water-based pomade. Pomp taller, slick tighter, and be BONA FIDEwith our "SUPER" SUPERIOR HOLD.